Dennis Rodman has come and gone without much excitement and basketball diplomacy, with all of the anticipation, has passed without much lasting attention. Indeed, if there was any attention at all, it certainly did more to bolster Kim Jong Un’s ego and damage Rodman’s public image more than anything else. Although basketball diplomacy was a failure, North Korea has made an interesting move over the past few weeks by extending an olive branch to its neighbour. In a letter from North Korea to South Korea, North Korea’s National Defense Commission (NDC) declared its intention “to create an atmosphere of reconciliation and unity.” The letter is, for all intents and purposes, a means to gain leverage in condemning US-South Korean military exercise that is planned for March. It further serves to remind many of the unprecedented backlash from North Korea over the drills last year and to return the North Korean ‘issue’ back into the news. North Korea, in defiance of condemnations and sanctions from the UN, has continued to progress towards fully operational nuclear weapons, and has even made threats against the US in a new series of bizarre propaganda videos (Video 1, Video 2). More recently, Pyongyang’s rhetoric has intensified and North Korean authorities have detained US citizens Kenneth Bae and Merrile Newman. Although Newman was eventually released, Bae has been sentenced to 15 years hard labour and there has been little movement on securing his release. 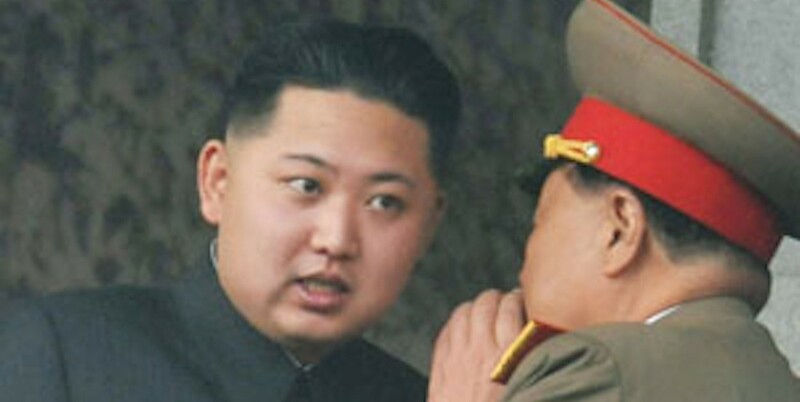 Even more recently, awestruck observers have heard of the death of Kim’s Uncle as well as his entire extended family. As North Korea continues to captivate interest and despair in Asia and the West, there is a larger threat that looms. North Korea’s existence is currently hanging in the balance; and the key drivers, China and the US, are in conflict with one another. The conflict, which can be traced to conflicting perspectives on each of the economic, political and ideological chess boards, is mainly observed in their respective Asia policies, in which diplomatic strategy gives concrete life to the heart of the conflict. This topic alone would consume many pages of writing, but I am principally interested in advancing a different hypothesis. I am not as concerned about the perspectives or differences in policy between the US and China as I am concerned with the overall focus of strategy on North Korea, and in particular, how this relationship will be decisive, and even define the nature of Sino-US relations in the 21st century. US-North Korean relations have reached their 65th year. The creation of the Republic of Korea was the result of American military intervention in the Asia-Pacific during WWII, and remains symbolic of American imperialism in the Asia-pacific region. However, since the Clinton Administration, and especially since 2008, relations with North Korea have deteriorated substantially. The Obama administration’s policy on North Korea has been one of near complete disengagement. Aside from applying pressure on China to reprimand Kim’s regime and pursuing further sanctions through the UN, the US has continued to rebuff North Korean provocations and refuse direct discussions with the regime. Although the Obama administration’s Asia-Pacific policy has received criticism for its inconsistency and emphasis on military buildup, its strategy towards North Korea has been effective. The US has disabled North Korea’s only tool at leveraging power in East Asia and has exposed China’s weak strategic position. By ignoring Kim Jong-Un and pressuring China to take responsibility for North Korea’s troubling behaviour, the US has essentially trapped China in a negative sum game. North Korea is an issue that has continually restrained China’s authority in Asia as well as distracted it from pursuing its strategic ambitions in the region. China’s impotence in controlling Kim has embarrassed the country’s authority in the region and exposed a weakness in its foreign policy. At the same time, China cannot remove its support for the Kim regime. Seizing on this opportunity, the US has begun to exploit China’s strategic quagmire by strengthening partnerships with other nations in the region. The rise of China has been a fixture of international relations debate for the last 20 years. Many have claimed the 21st century to be China’s, resulting in numerous China-focused programs budding up at academic institutions around the world. China been reluctant to officially accept such statements in the past, but recent events would suggest it is finally presenting itself as a major diplomatic authority in Asia. Indeed, China’s official establishment of an AIDZ around the contested islands south of Japan and east of China, its claims to the South China Sea, as well as Xi Jinping’s promise never to meet with Shinzo Abe are but a few examples of a more assertive trend in China’s regional policy and are signs that it is more comfortable flexing its diplomatic muscle. However, China’s new assertiveness has also made its decision-making much more vulnerable to criticism. This contradiction is exemplified by the North Korean issue. The events in the Korean Peninsula have revealed a truth about China’s calculations on Asia-Pacific strategy. China’s strategy in the region is often emotional and based on regional histories. For its part, China has condemned North Korea’s nuclear weapons program and called for it to return to talks. However, these pronouncements have come and gone with little concrete action. China continues to support the regime with significant amounts of AID and small economic projects as I indicated previously. More worrisome is China’s indifference to human rights abuses within North Korea. In fact, in rejecting the UN report released recently on North Korean crimes against humanity, as well as continuing to return North Korean Refugees to North Korea, China has been complicit in these crimes. By observing these actions and omissions to act by China, it is possible to see Beijing’s regional strategy and purpose in supporting its ‘troubled’ ally. The biggest concern China has for North Korea is a collapse where South Korea and the US would negotiate the terms of reintegration and reconciliation on the Korean Peninsula. There are many reasons why a rational China may desire the collapse of the North Korean regime and a negotiated agreement to reintegration. A capitalist neighbour in the northeast would improve commercial prospects and economic prosperity on both sides of the border. The development of new cities as well as immigration to existing cities would increase labour supply and reduce poverty rates. Although many North Koreans refugees would seek refuge in China at the initial collapse of the regime, this would only be a temporary setback, and in fact, there are already thousands of illegal North Korean migrants living in China. Overall, the collapse of the North Korean regime would represent a net benefit to Chinese national interests over the long term. However, if North Korea were to collapse, any negotiated reintegration would include US involvement, and this is something that is unacceptable to Beijing. In fact, China is deeply suspicious of US activity in the region – as it should be – and often charges the US of attempting to contain China’s growth. Allowing Washington and Seoul to negotiate the territory currently occupied by North Korea would represent, for Beijing, an intrusion and would exacerbate tensions. In this regard, China’s policy towards the North is ‘emotionally strategic’ . China, owing to relationships and shared histories of the 20th century, would rather support a North Korean regime since the perceived benefits of homeostasis and regional hegemony outweigh the costs, both in economic terms, but also in the perceived costs of allowing the US to encroach on its borders. There are many possibilities for the future of North Korea if conditions within the regime remain the same. Whatever the outcome, there will be certain implications for Sino-American relations, which will ostensibly lay the foundation for a century of either peace or conflict. Below are two broad scenarios which could unfold in the years to come. Future 1: Power Politics and Survival of the Fittest: Beijing will hold steadfast to Pyongyang, and encourage economic development within the regime. Beijing’s influence will increase as long as Washington continues to ignore Kim Jong-un; however, Beijing’s relationship with the regime will impact its legitimacy as a regional power and will result in a loss of influence in Asia. The US will attempt to take advantage of China’s position by staying disengaged diplomatically from North Korea and increasing its investments in other parts of the region. The US will provoke North Korea by strengthening its military relationship with South Korea, including the staging of joint military exercises. As the US becomes more invested in Asia, and China becomes frustrated with its position, tension will increase between the two powers resulting in some manner of conflict between China and the US. Future 2: The Politics of Great Power Brokerage: Beijing will try to strengthen or even redefine the importance of its relationship with Washington. Washington will accept such overtures as it will stand to benefit from greater influence within the region. Furthermore, such an approach will give Beijing more space as well as increase its leverage over Pyongyang’s behaviour, since Kim’s bargaining position with Obama will disappear. China will consequently use this leverage to force North Korea to accept growth and improvement on Beijing’s terms. Washington will cautiously accept China’s larger role in the future of North Korea, and provide all consultation on North Korea through China. Whether peace or conflict defines the 21st century, China and the US are the key players and the strategy on North Korea will be a key indicator of how that relationship unfolds. More importantly, the ball is currently in China’s court to move its strategy forward. Corey Willis is an MA Candidate in the School of Social Development and Public Policy at Beijing Normal University in Beijing and a research associate of LCMSDS.